This is Book One of the series. This steampunk historical novel is not my usual genre. When I read that the United States was in the third term of Lincoln’s presidency and the main character was on a flying ship, it took a couple of chapters to grasp the alternate history. Ess is a rarity—a female Pinkerton agent in the late 1860s. Her current task to guard Egyptian artifacts lands her in more danger than she realizes. Ess longs to find her missing grandparents and her brother. She meets friends of her missing relatives yet hesitates to trust them. 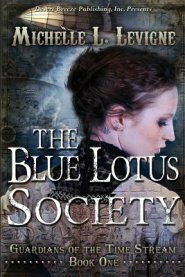 What is the Blue Lotus Society? Has she been wrong to trust her fellow Pinkerton agents? The well-written story drew me in. I had no idea how the story would turn out. I enjoyed reading a new-to-me genre for a change. The ending leaves you curious about what happens in the next novel. The author did a great job piquing my interest for Book Two! May 7th began as a sultry, overcast day with a dusty haze. A continual rumble of thunder started at nine in the morning and lasted until one in the afternoon along the Mississippi River between Natchez and Vidalia. The river teemed with activity. 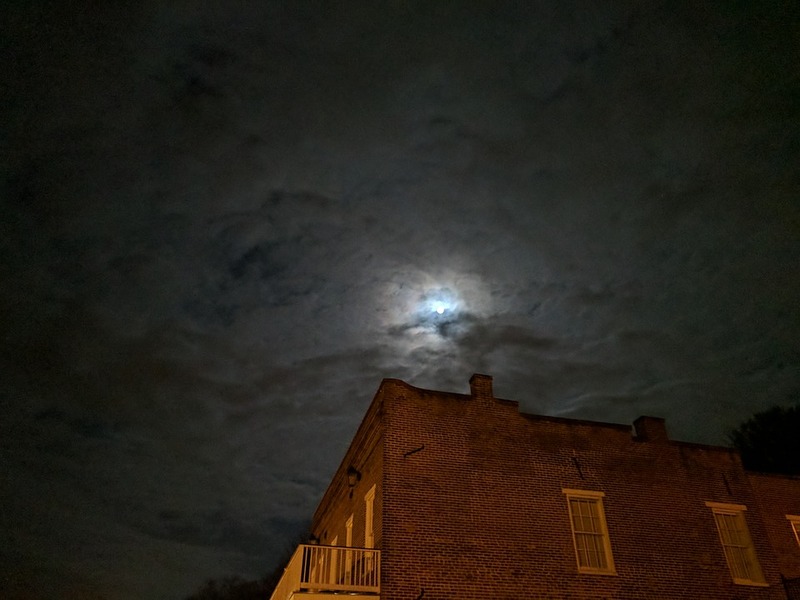 Boatmen on steamboats and 120 flatboats—large rafts that floated goods down to New Orleans—were at work that fateful Thursday in 1840. 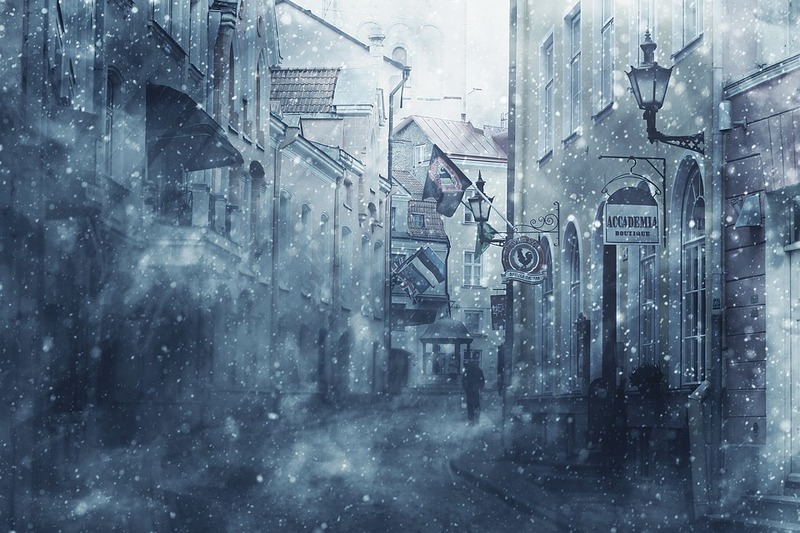 The townspeople went about their business as black clouds, some swirling, caused “no particular alarm.” The sky grew so dark as they ate lunch that residents lit candles. Driving rain fell. The tornado followed the river, uprooting massive trees. People heard the devastation for miles. Homes, stores, and businesses on either side of the river in Vidalia and Natchez were destroyed. Crews and passengers on the river endured the worst of the storm. The tornado whipped the river into massive waves that tossed boats and men into the air. Reports were that the water rose 10 to 15 feet. Even experienced swimmers couldn’t swim the raging waters. An estimated 200 people from the flatboats drowned. One hundred sixteen flatboats sank. The steamboat Prairie sank while another steamboat, Hinds, floated to Baton Rouge with 51 dead aboard. Twelve Natchez city blocks were completely destroyed, a loss that included two churches, a theater, hotels, and the town square. Killing 317 people and injuring 109, the Great Natchez Tornado of 1840 is recognized as the second worst in the history of the United States. Hyde, James. “The Natchez, Mississippi Tornado of 1840,” U.S. Tornadoes, 2018/01/07 http://www.ustornadoes.com/2017/05/07/natchez-ms-tornado-1840/. Nelson, Stanley. “The Great Natchez Tornado of 1840,” Natchez.ms.us, 2018/01/07 http://www.natchez.ms.us/ArchiveCenter/ViewFile/Item/128. This book is filled with fun animal facts that will amaze your children! 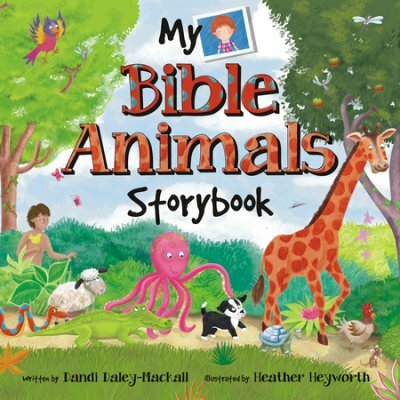 The author shares about familiar Bible stories such as Noah’s Ark, Creation, Adam naming the animals, Jonah and the big fish, plus many others. Then we read about Amazing Animal Facts such as the size of a blue whale’s heart, the smallest fish in the world, and how dogs sweat. This wonderful book will appeal to young children from toddlers to mid-elementary grades or any child fascinated by animal facts. My blog is called “Historical Nibbles” for the historical recipes shared on Mondays and the “A Peek into Our Past” historical articles shared on Thursdays. My desire is to bring to light little-known facts from American history so this knowledge our ancestors attained will not be forgotten. I love to try old recipes from over a century ago, but these can be difficult to follow. Ingredient measurements are one of the challenges. 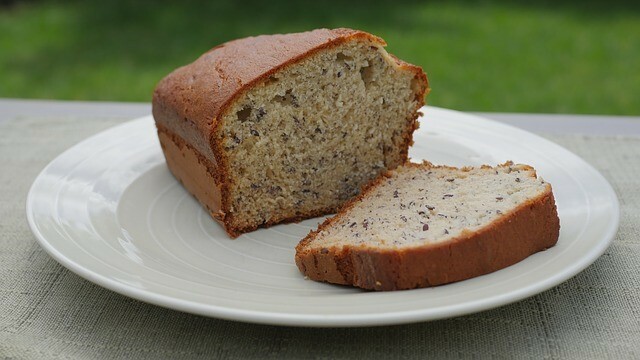 For instance, recipes from an 1877 cookbook can call for a tea-cup of raisins, a small half cup of butter, three cups of flour, or one and a half tea-cups of sugar. The same recipe may call for one cup of brown sugar and a half-pint of molasses. A half-pint in modern measurements is one cup. If one cup was the same as a half-pint for the 1877 cook, why didn’t she say, “one cup of brown sugar, one cup of molasses” when writing the recipe? Another cook wrote that “a tumbler and a half of sliced citron may be added.” How big was a tumbler in 1877? Did tumblers vary in size? Another recipe calls for one cup of sugar and two small cups of flour. 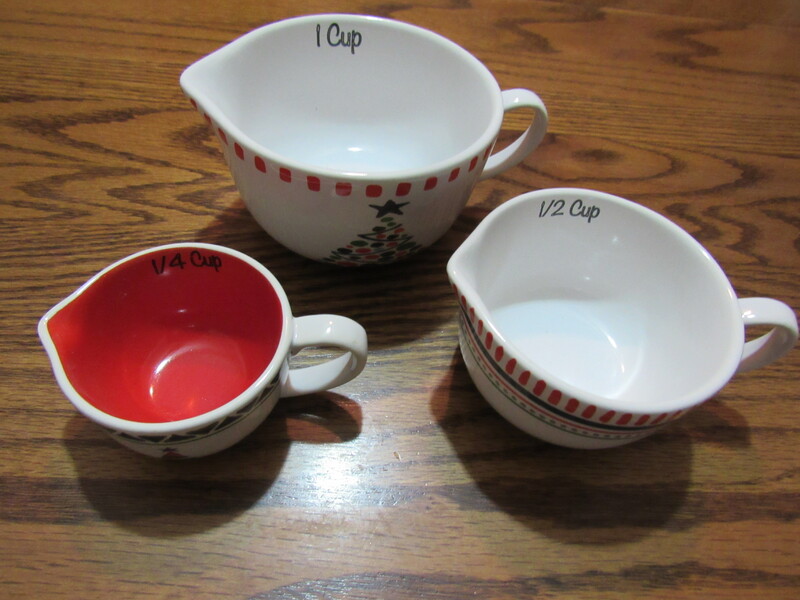 Is a “small cup” different from a tea-cup? Was “one cup” perhaps 12 ounces and the “small cup” 8 ounces? It’s a guessing game. Sometimes I guess wrong and have to prepare the recipe a second time. 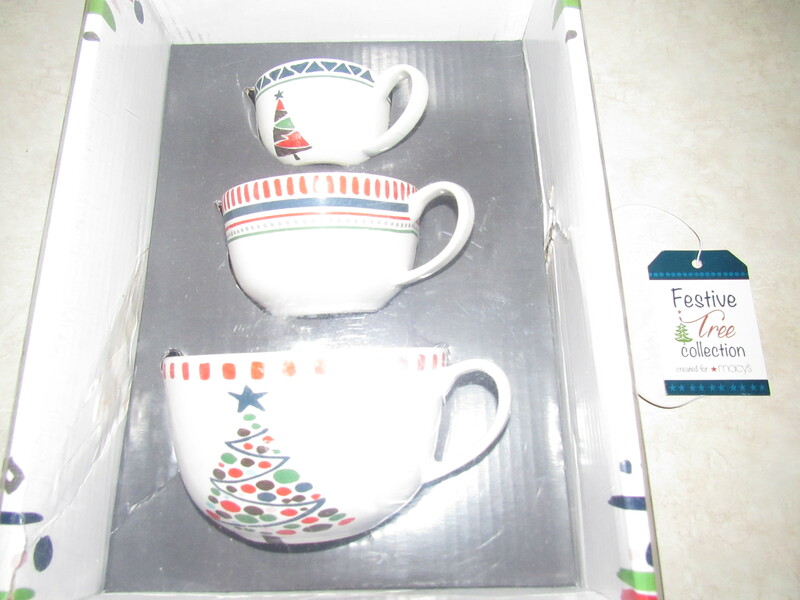 The collection’s historic flair appealed to me and, on a whim, I bought a Christmas gift for myself. You may see a photo now and then using these measuring cups as I struggle to read the minds of historic cooks! Compiled from Original Recipes. Buckeye Cookery, Applewood Books, 1877. 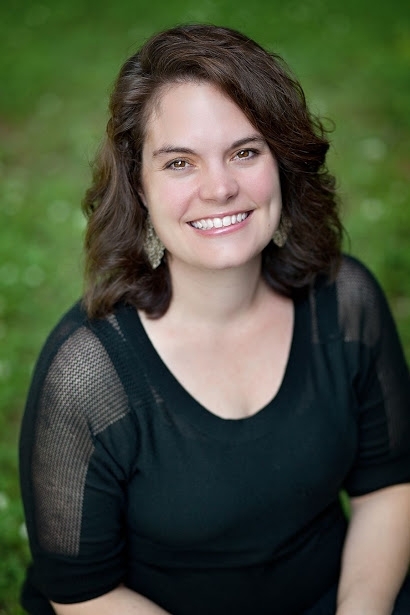 A Rebel in My House Receives 2018 Illumination Silver Award! 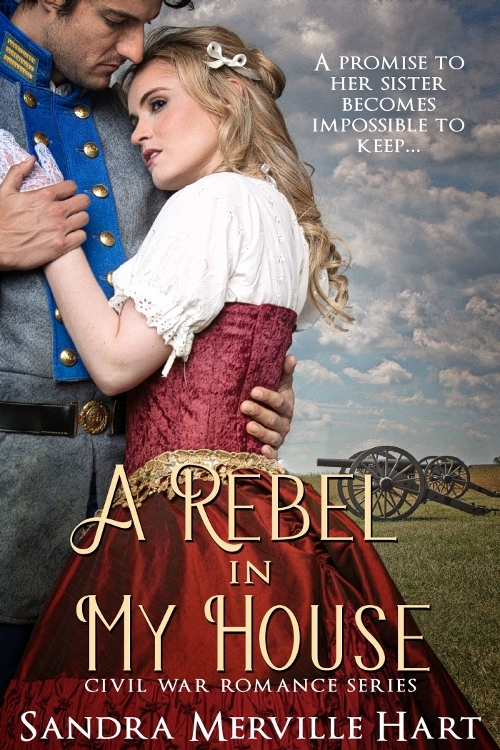 A Rebel in My House, my Civil War romance set during the historic Battle of Gettysburg, has received 2018 Illumination Silver Award in the Inspirational/ Romance Fiction category! 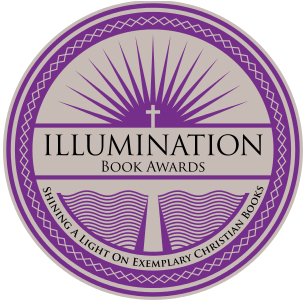 The Illumination Awards “are designed to honor and bring increased recognition to the year’s best new titles written and published with a Christian worldview.” Click here to see the entire list of gold, silver and bronze winners. So thrilled that my novel is included with those from such talented authors! New residents moved to Miami, Florida, in the 1920s. The newcomers knew little about the hurricane dangers to a beach-side city. Many were drawn to Miami by a real-estate boom that collapsed. Citizens lost their homes as businesses closed their doors. A Weather Bureau Office had been established in Miami under the leadership of Richard Gray since 1911. 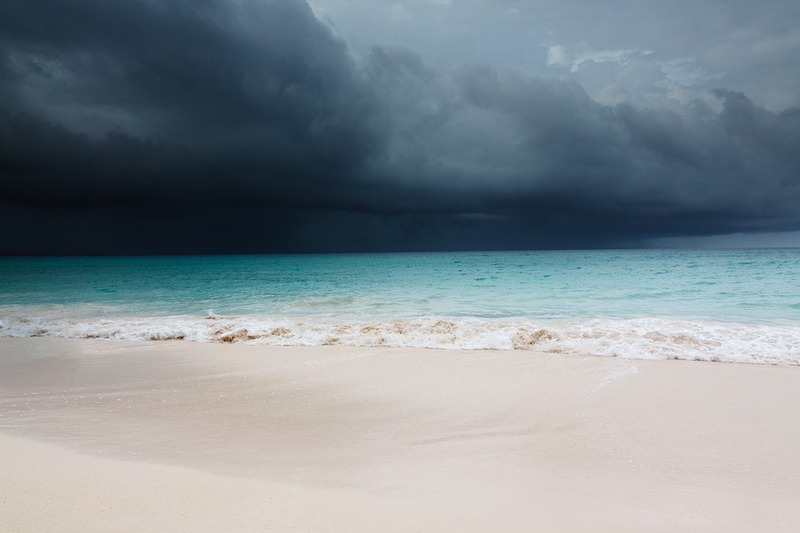 Ships first reported a storm in the central tropical Atlantic to the Weather Bureau on September 11, 1926. During this time period, storm warnings came from Washington DC. Storm warnings—one step below hurricane—were issued at noon on September 17th. Gray raised hurricane warnings at 11 pm that night. Few people owned a radio to hear the broadcasted message. Forceful winds drove ocean waves onto the shore. A seven-year-old girl remembered seeing the ocean’s waves in her backyard. The sixty-mile wide hurricane came ashore at 2 am and lashed at the city of Miami until 6 am. Folks, thinking that the storm had passed, came out of their homes to inspect the damage. Some staying on Miami Beach and barrier islands packed up their cars and crossed bridges to the mainland. Gray, horrified, realized new residents didn’t understand they were in the eye of the storm. He ran onto the crowded streets, shouting warnings that the worst was yet to come. The lull lasted only about 35 minutes. Many of the approximately 100 Miami victims, killed by flying debris or drowning, were those who came outside in the eye. Foster Stearns witnessed waves wash over the new Venetian Causeway. The ocean washed over a car speeding back to the mainland. Instantly the car and its passengers were lost. The hurricane swept inland to Lake Okeechobee, causing a levee to give way near Moore Haven, a town of 900 on the lake’s shore. The actual number of drowning victims in Moore Haven is unknown, though it may be as many as 300. The town was under water for 8 weeks. “Great Miami Hurricane of 1926,” National Weather Service, 2018/01/07 https://www.weather.gov/mfl/miami_hurricane. McIver, Stuart. “1926 Miami: The Blow that Broke the Boom,” Sun-Sentinel, 2018/01/07 http://www.sun-sentinel.com/news/sfl-1926-hurricane-story.html. Book 2 in the Preston Barclay series. Professor Preston Barclay, “Press” to his friends, has built a reputation for solving a murder along with his fellow professor, Mara Thorn. When the pair find the dead body of another professor following a trustee/faculty reception, they both want to avoid the appearance of investigating the case. Yet finding the dead woman plunges them into the middle of a police investigation. Both appear to be suspects in the murder. Past history with one of the police officers comes back to haunt Press. Danger lurks not only for Press and Mara, but also for anyone they question. 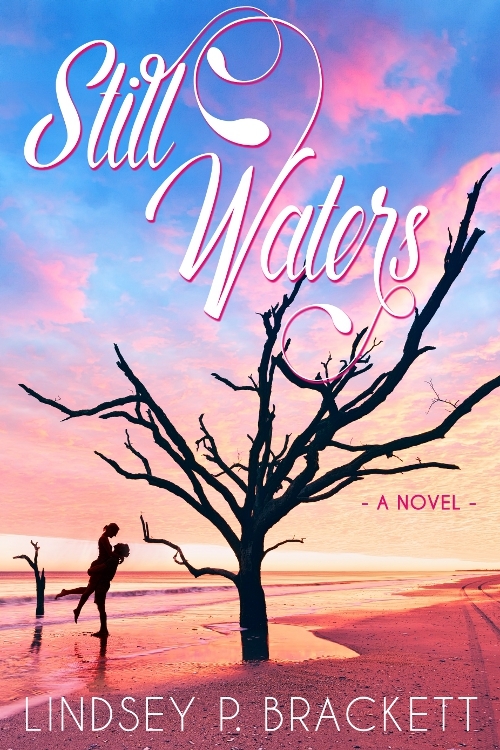 Filled with twists and turns, this suspenseful romance kept me turning pages. 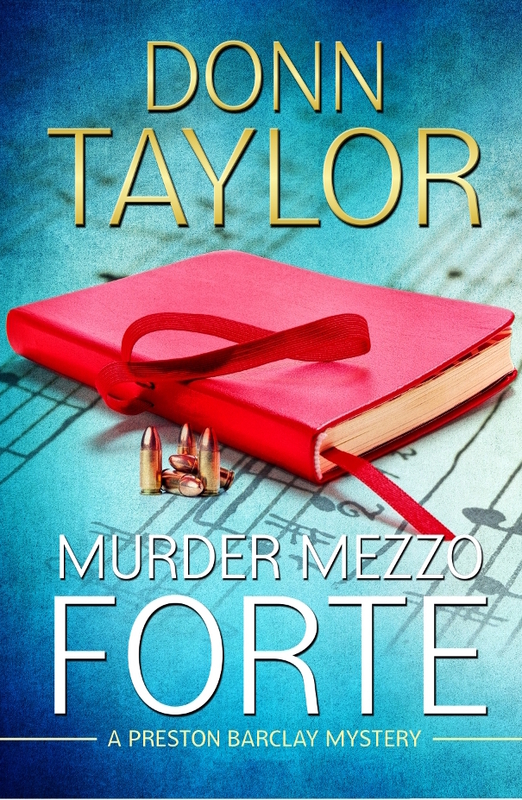 The novel refers to events that happened in Book 1, Murder in Disguise. It may be helpful to read that novel first. I found a recipe for Raspberry Blanc-Mange in an 1877 cookbook that had been submitted by Mrs. J.P. Rea of Minneapolis, Minnesota. Mrs. Rea suggested that other fruit could be substituted for raspberries. Since I had fresh blackberries in the fridge, I used blackberries. Blancmange is a new dessert to me. I’d never made or eaten it. This sweet dessert is usually made with milk and sugar. 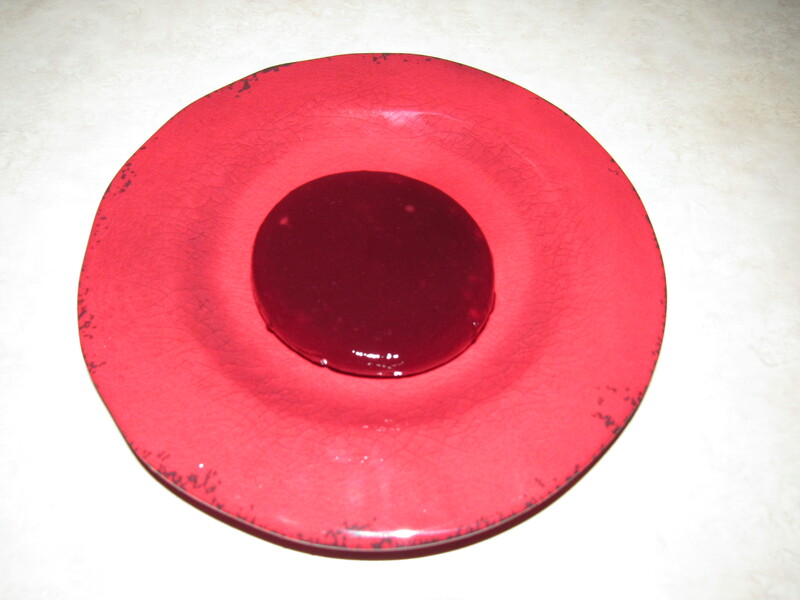 Cornstarch, gelatin, and Irish moss—a seaweed found near Ireland—are used to thicken the blancmange. The dessert is traditionally white, but this fruity recipe is a rich burgundy color. As with most of the recipes in the 1877 cookbook, there is a lot of guesswork. It didn’t suggest how much fruit to “stew” in the first step. 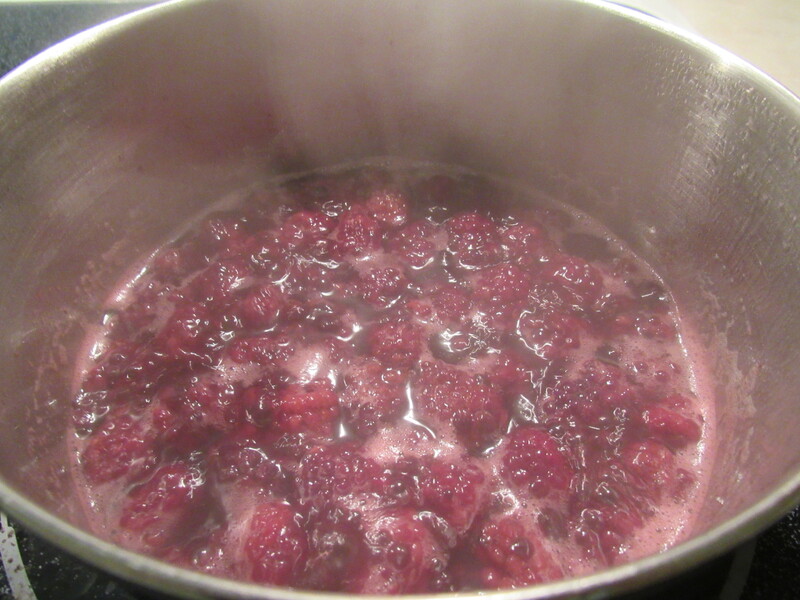 I washed 12 ounces (1 ½ cups) of fresh blackberries and put them in a medium saucepan. I added a cup of water, which ended up being a good amount for this amount of fruit. These cooked on a medium heat. 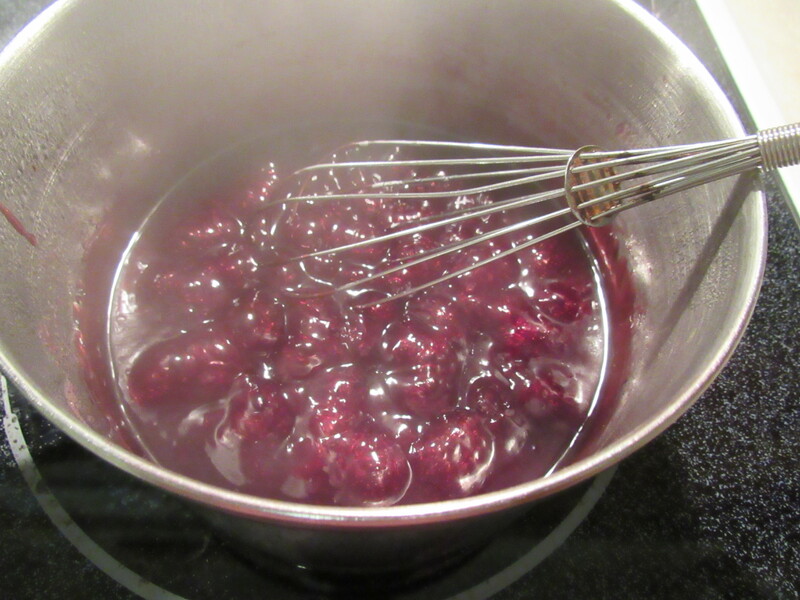 After they began a slow boil, I cooked them around 8 – 10 minutes, long enough to extract the flavorful juices from the blackberries. Strain the fruit. Discard the blackberries and return the juice to the pan. There will be a little more than the amount of water added in the beginning. In a small bowl, add 2 tablespoons of cornstarch per pint of juice. Mine made a little over a cup, so I used 1 tablespoon of cornstarch. To this add twice the amount of water—2 tablespoons of water for mine. Stir and set aside. Mrs. Rea suggested sweetening the juice to taste. Having no idea how sweet blancmange is, I stirred in ¼ cup of sugar. When this mixture begins to boil on a medium heat, drizzle in the reserved cornstarch mixture. It thickens immediately. Whisk constantly while it continues to boil for another minute or two. Remove from heat. Rinse molds in cold water and add the blancmange. Chill for at least 2 hours to allow the dessert to set. T welve ounces of blackberries made 2 servings. Adjust the quantities for the number of servings desired. Turn the mold onto a serving plate. Mrs. Rea suggesting eating it with cream and sugar. I liked it plain. Though it didn’t turn out overly sweet, I will reduce the amount of sugar next time to 2 tablespoons for 2 servings. 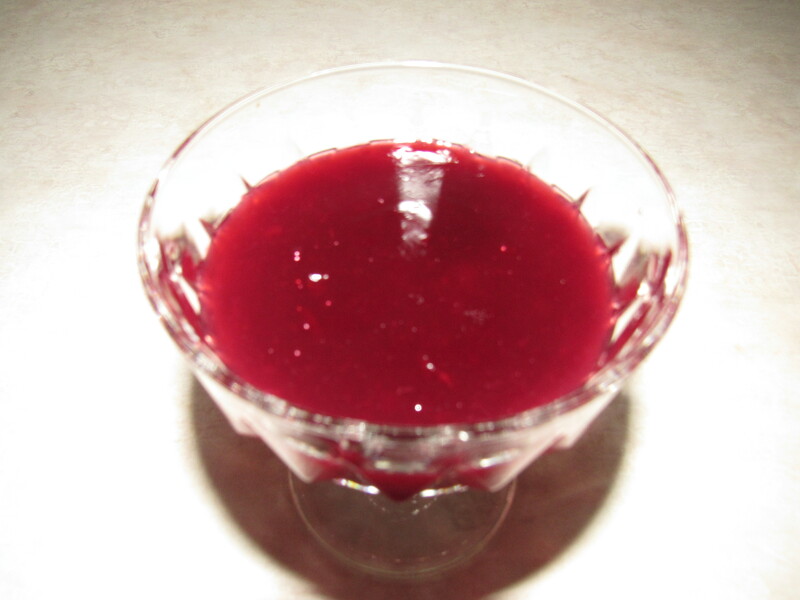 I loved the rich color of the blancmange. 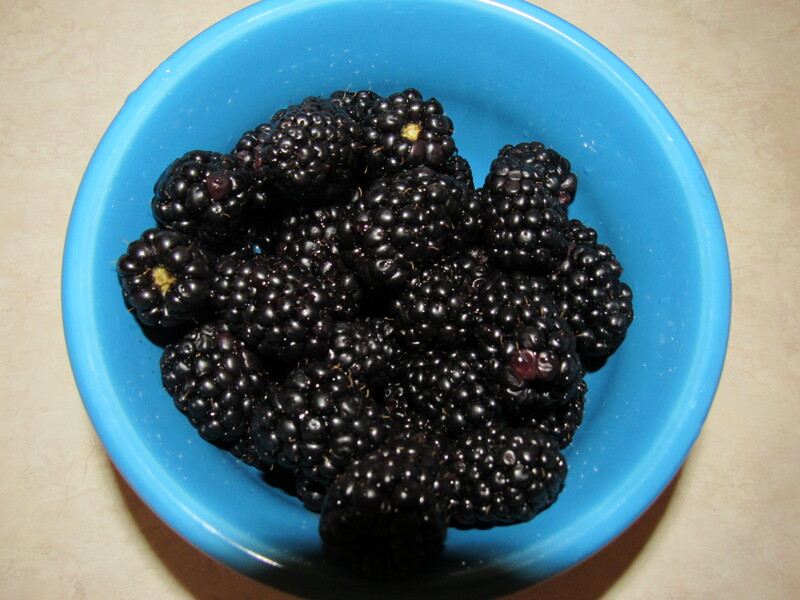 I like blackberries and the refreshing taste took me back to summer days of eating cobblers and jams. I will reduce the amount of sugar next time to 2 tablespoons for 2 servings. Heavy snow and wind gusts as high as 85 miles per hour brought whiteout conditions to New York City at midnight on Sunday, March 11, 1888. Snow drifts had reached the second story of buildings in some areas, yet folks in that city braved the snow on Monday morning to get to work. Many of the elevated trains were blocked by snow drifts, stranding about 15,000 people. Most city residents who made it to work or school left early—then had a treacherous journey back home. Railroads and streetcars shut down. Roads were impassible. Train passengers were stuck for days. Two hundred ships wrecked because of the storm. Telegraph wires fell. Gas lines and water lines—all above-ground—froze. The storms historic three-day snowfall reached 55 inches in Troy, New York. Snow and high winds affected all those living along the Atlantic coast. About 25% of Americans lived from Washington D.C. to Maine, the area affected by the storm. Stores ran out of fresh meat, canned meat, and salt meat. Scarce food was sometimes sold to the highest bidder, not to loyal regular customers. Over 400 people died as a result of this Great White Hurricane—200 were in New York City. Mark Twain, the beloved author, was stranded at a New York hotel. P.T. Barnum, also stuck at a hotel, entertained other folks likewise stranded at Madison Square Gardens.